How to use DSLR for facebook live on you PC or Mac? Editing your Facebook video on PC has never been this easy. Most of people love to use DSLR cameras for their Facebook Live needs and the most common reason behind is their impressive video quality. Other than this, DSLR as a shooting device offers special requirements so that professional style of videos can be achieved. Although webcams are also recommended for facebook live needs; but DSLR is first choice of most of professionals. How to use DSLR for Facebook Live Broadcasting? When you are ready to get fun with your DSLR camera then it is good to switch to Sparkoman on your device. Step 1: First of all you need to download sparkoman to your system. Step 2: Connect your camera to PC via USB connection. Step 3: Start your chat software. Step 4: If you want to record sound too then simply go to record sound option and adjust settings. Step 5: Chat and interact. It is possible to have full control on your camera settings from window based PC. One can easily capture stills and videos and they will directly appear on PC monitor. It offers instant review facility that means when you system is connected remotely to camera that all activities can be monitored with ease. 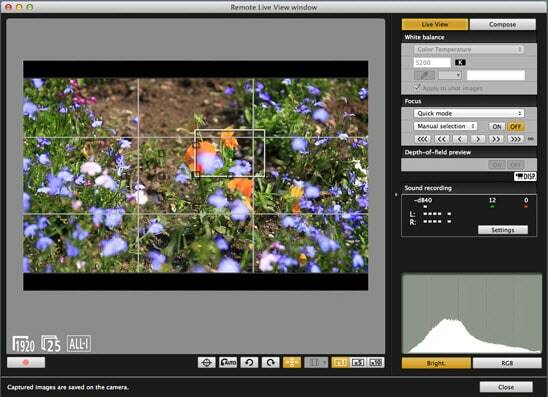 Digicam Control tool helps users to obtain series of bracketed shoots with arbitrary speed of shutter, exposure value and aperture. 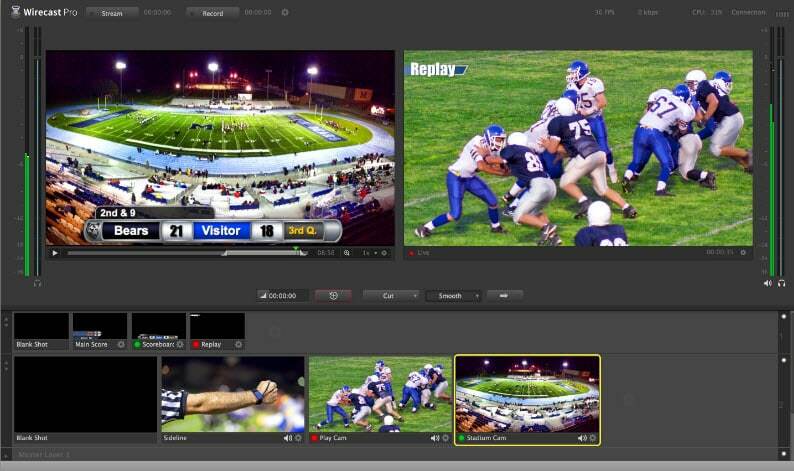 This well designed software platform offers classic control facility for multi camera type support. You will love to access its high interoperability. It is an open source tool that allows free access. 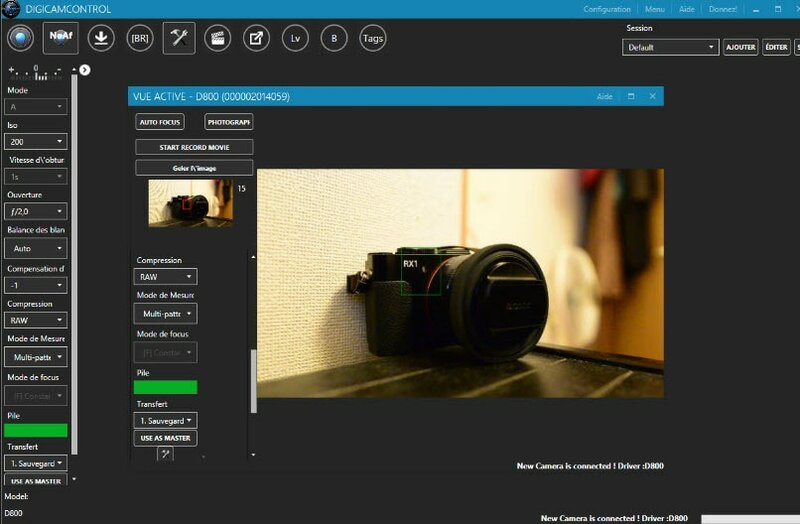 EOS utility is a well recognized application that brings cameras closers for interactive communication between their content. You can enjoy easy downloads, remote shooting, display images and adjust camera settings as per need. This application is perfectly compatible with all EOS type DSLRs and allows users to enjoy incredible live streaming facilities. It possesses the easy download functionality that helps users to collect images as well as videos fast. Users can edit images as per need using its classic editing tools. The perfect preferences button is added to software platform that assists users in easy selection of destination folder. The video or image details can be modified with labeling criterion and download preferences can also be customized as per need. EOS Utility offers fine tuned feature set. This software is compatible only with Window based devices but users will be able to avail its free source code over internet and hence they can make changes to software with ease. 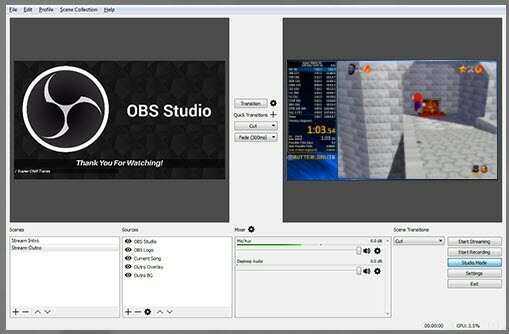 OBS or Open Broadcaster Software tool offers huge collection of editing tools with feature rich options to develop customized videos. OBS is an open source tool available for free. Offers solid screen switching facility. Considered as a global source. XSplit can handle big collection of data with ease that is why professionals prefer to use this tool for their streaming productions, digital training courses and for managing video podcasts. It is much easier to operate with extremely solid user platform. Offers lots of advanced features along with additional plug-ins. OBS assists in skype interactions. Those who want to develop content with classic professional settings must choose wirecast for their needs. It offers a solid interface with intuitive feature set. Contains so many professional features. PC as well as Mac editions available. Cost can be troublesome for beginners. You can easily find so many people who use DSLR cameras instead of web cams but it is not always a good idea. The fact is the when sensor of a DSLR camera stays ON for long time, it suffers huge damage. Open shutter leads to potential harm to your camera. It is good to use DSLR for short while but if you are a beginner and need a device to begin with then prefer to pick right webcam for your needs. Any tips on using a mac with OBS and DSLR?